^ Population estimates, quarterly. Statistics Canada. [February 23, 2019]. ^ Although the term "Newfie" is sometimes used in casual speech, some Newfoundlanders consider it a pejorative. ^ Gross domestic product, expenditure-based, provincial and territorial, annual. Statistics Canada. [February 23, 2019]. 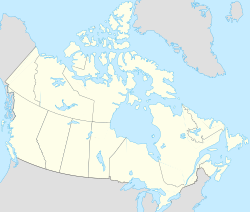 ^ Estimates of population, Canada, provinces and territories. Statistics Canada. [February 23, 2019]. ^ Tuck, James A. Museum Notes - The Maritime Archaic Tradition. "The Rooms" Provincial museum. [2008-06-17]. （原始内容存档于2006-05-10）. ^ Renouf, M.A.P. Museum Notes - Palaeoeskimo in Newfoundland & Labrador. "The Rooms" Provincial museum. [2008-06-17]. （原始内容存档于2008-04-30）. ^ Janzen, Olaf. French Presence in Newfoundland. Newfoundland and Labrador Heritage. [2009-07-24]. ^ Webb, Jeff A. Collapse of Responsible Government. Newfoundland and Labrador Heritage. [2009-07-24]. ^ Cod Moratorium. Newfoundland and Labrador Heritage. [2009-08-17]. ^ 11.0 11.1 Atlas of Canada: Sea islands. Natural Resources Canada (Government of Canada). [2008-06-16]. ^ Atlas of Canada:Land and Freshwater Areas. Natural Resources Canada (Government of Canada). [2008-06-16]. （原始内容存档于2008-06-16）. ^ 13.0 13.1 About Newfoundland and Labrador: Land Area. Government of Newfoundland and Labrador. [2008-06-16]. （原始内容存档于2007-09-27）. ^ Bélanger, Claude. Newfoundland Geography. Marianopolis College. [2008-06-16]. （原始内容存档于2007-04-12）. ^ Location and Climate. Government of Newfoundland and Labrador. [2008-06-16]. （原始内容存档于2008-06-20）. ^ Report on the State of Conservation of Gros Morne National Park. Parks Canada. [2008-06-16]. （原始内容存档于2005-08-05）. ^ Newfoundland and Labrador Heritage Web Site: Climate. Memorial University of Newfoundland. [2008-06-16]. ^ Statistics Canada catalogue no. 97-555-XCB2006015. 2007 [2009-08-16]. ^ A Run on the Banks. （原始内容存档于2009-05-11）. ^ Employment by Industry (PDF). Government of Newfoundland and Labrador. [February 23, 2019]. ^ Landings and Landed Value 2017 Preliminary (PDF). Government of Newfoundland and Labrador. [February 23, 2019]. ^ Newfoundland and Labrador 2014 and 2015 aquaculture Industry Highlights (PDF). Government of Newfoundland and Labrador. December 31, 2015 [February 23, 2019]. ^ Provincial Economic Overview (PDF). ^ Oil and Gas (PDF). ^ Gross Value of Mineral Shipments by Commodity.